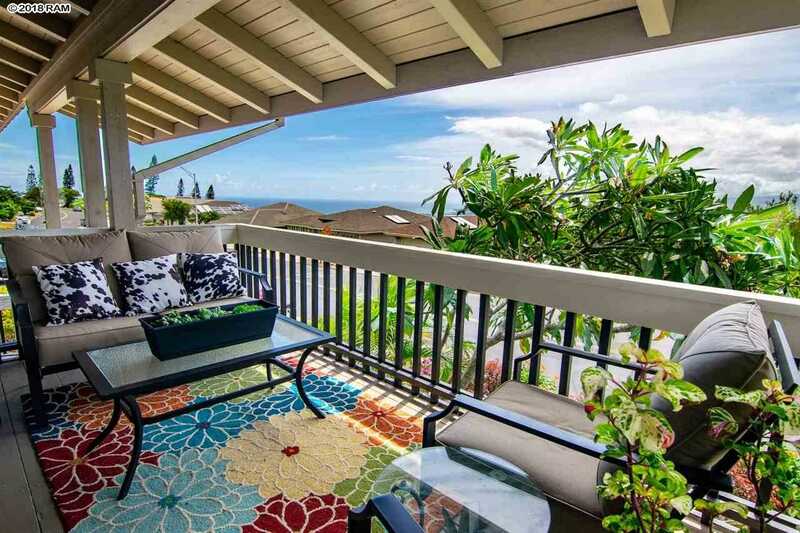 Elegant Wailuku Heights home with wide open Ocean, North Shore and Haleakala Views. Totally remodeled in 2017, some of upgrades in this wonderful 3-bedroom, 3-bath home: Brand new kitchen, with Quartz Counter tops, cabinetry, stainless steel appliances, wood floors, doors, baseboards, bathrooms, featuring dual sinks, split A/C panels The High, open-beamed ceilings, large living room, kitchen & bathroom lend to the perfect space for a family. A bonus room with full bath & laundry room are just some of the extra space you get in this comfortable home. The lot has been totally utilized and freshly landscaped, with a terraced back yard, and the installation of a large 8 person spa. With lots of storage, and a 2-car garage, this property is conveniently located near restaurants, shopping, the financial district & medical offices. Come and experience the everyday occurrence of beautiful sunrises and endless ocean views. Recent Photovoltaic System installed, dropping the electric bill dramatically! Please, send me more information on this property: MLS# 379222 – $989,000 – 712 S Alu Rd, Wailuku, HI 96793.